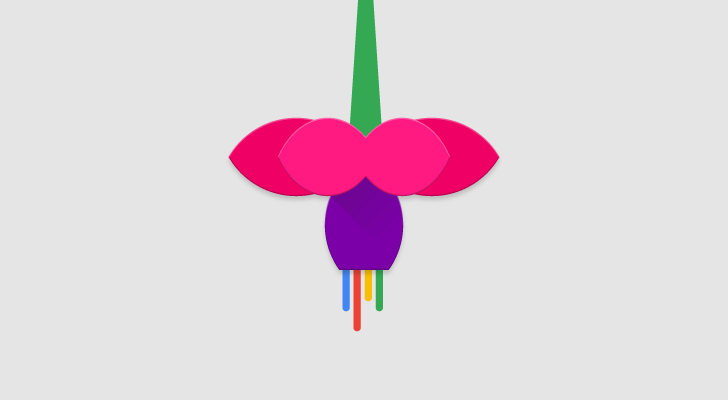 People have been buzzing about Google's Fuchsia project, an open source operating system that popped up on GitHub a few months ago. Some have even speculated that Fuchsia could be a replacement for Android down the road. Someone brought this up at the Android Fireside Chat, and VP of engineering for Android Dave Burke replied by basically not talking about Fuchsia. Here's the full transcript of Dave's answer from the above video. How do you spell Fuchsia? Fuchsia is a[n] early stage experimental project. We, you know, we actually have lots of cool early projects at Google. I think what's interesting here is its open source, so people can see it and comment on it. Like lots of early stage projects it's gonna probably pivot and morph. There's some really smart people on it, people we've worked with who are great. and so [it's] kind of exciting to see what happens. But it's definitely a diff-- sort of independent project to android. and yeah, that's basically it. So, there's not much there, is there? Basically, we don't talk about Fuchsia. There's only a little useful information, which will hopefully calm everyone down. The gist seems to be that Fuchsia is still very early, and it's likely to change a lot before it ever gets close to being a real product. And importantly, it's independent from Android. In that respect, it was a little weird to ask the Android team about Fuchsia at all.